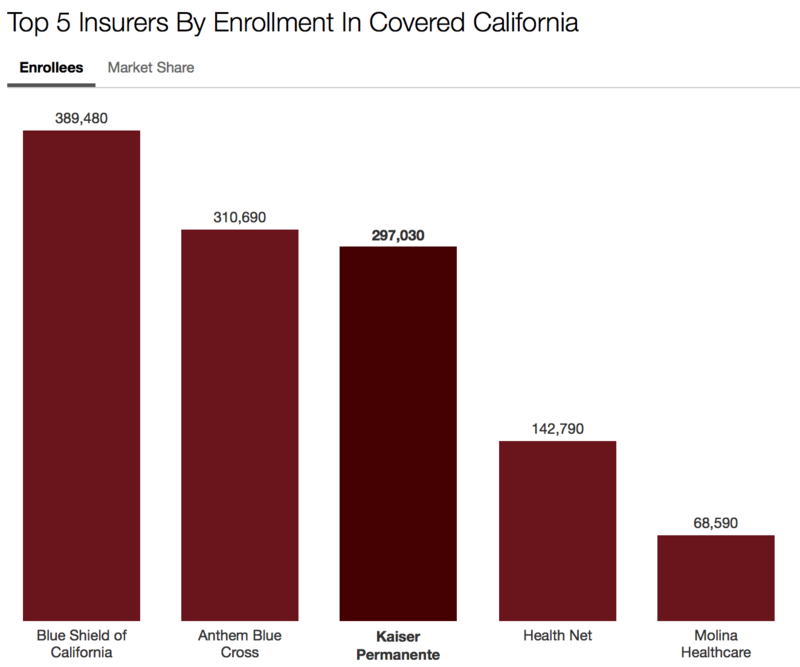 California Healthline reports that Blue Shield of California has the highest share of enrollees in Covered California Health Benefits Exchange (Covered CA). The data, from Covered California, show that Blue Shield had 389,480 enrollees in the exchange as of December 2016, about 31 percent of the market. Anthem was next with 310,690 members, for a 25 percent share. Kaiser Permanente was third with 297,030 exchange enrollees, or 24 percent. Health Net and Molina Healthcare were fourth and fifth, respectively. I believe this, in part, may be due to Blue Shield offering the only state-wide PPO plan on the individual exchange market. Anthem offers a PPO as well but it is limited to certain areas of the Central Valley and Central Coast. A new analysis, also released this month, shows that Covered California continues to have among the healthiest exchange enrollees in the nation � a designation Covered California officials hopes will tame premium increases. Rates for 2018 plans have been filed and will be announced mid-summer. With a healthier mix on Covered CA, the hope is that rate increases will be minimized.